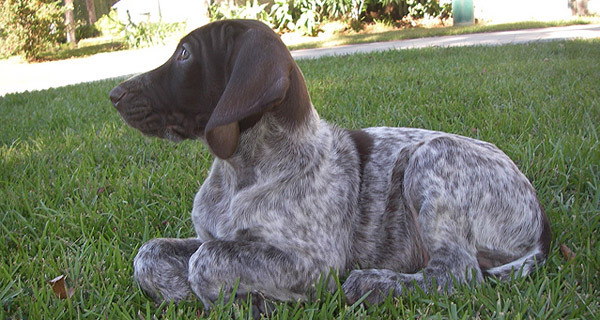 Although there are a wide variety of dog colors, the patterns give us an even broader range of colors & combinations. 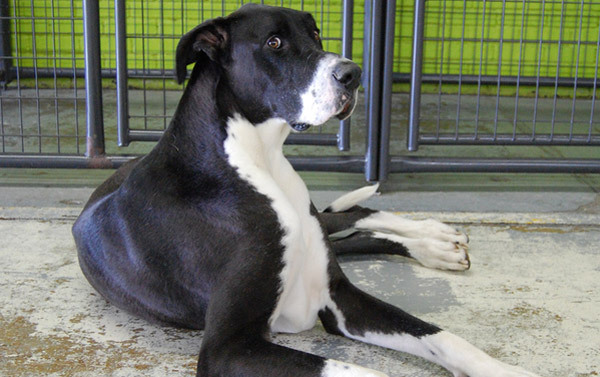 Some patterns are breed-specific, while others can be found across many breeds. The genetics of color is beyond us, but here are some of the basic patterns those genes produce with real examples. A white base coat with tiny spots over most of the body giving the impression of blue, yellow or orange colors. A coat with two colors. Refers to the red and white coloring of certain spaniel breeds. Marbled blue, grey & black. A lighter background with a fine and fairly even mix of black stripes. Mottled markings of several different colors. Large black or blue splotches on a white background coat. White base coat with tan and/ or black patches on the head, back, legs & tail. A white base coat with a second color blanketing the body, & part of the neck, head, tail & legs. A fairly even mixture of black and white hairs which give a salt and pepper look to the coat. A light background coat (usually gold, silver or tan) with black tips – often accompanied by a black mask. A coat with three distinct colors. Black dog with white pattern on chest, chin and feet resembling a tuxedo and spats. Most commonly found in the Boston Terrier. Markings similar to those of Rottweilers or Dobermans, with a different color on the legs, eyebrows, beard & mustache, inside of ears and under tail. Has a white foundation coat with spots or patches of another color. They can be found in a variety of different colors. Be sure to check out the basic dog colors too. what about phantom, and parti-color? Thanks for the info, we’ll be sure to add them. 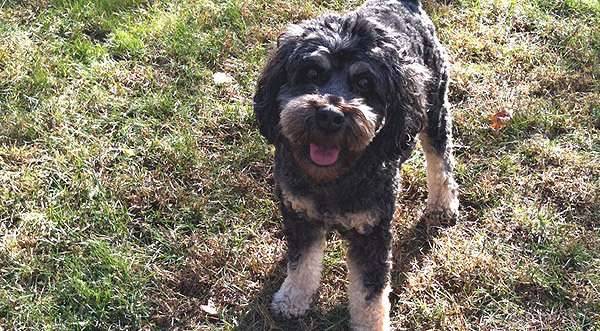 Thanks <3 I have a phantom poodle and I could lend pictures if you like.. Or if you look them up you can find some really nice ones phantom and parti are mostly poodles/shihtzu & poodle mixes I believe. 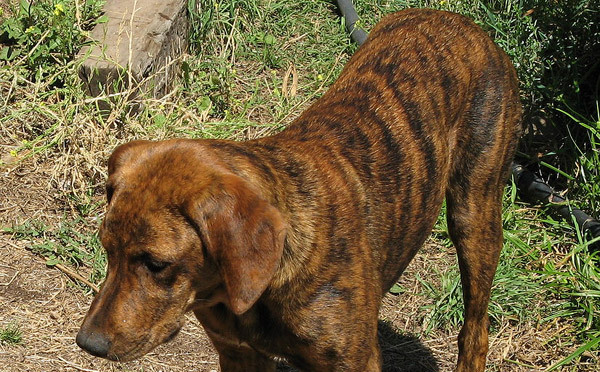 Phantom can stem from parents who are parti-colored or brindle. Or one of each. Phantom looks like the markings of a rotty/rottweiler. But isnt just red and black. Can be any coloration. The dog could be white and the markings could be brown, or the dog could be grey and markings black? ect. Parti-colored is mostly white, with patches of color. Rae you are awesome, thank you! 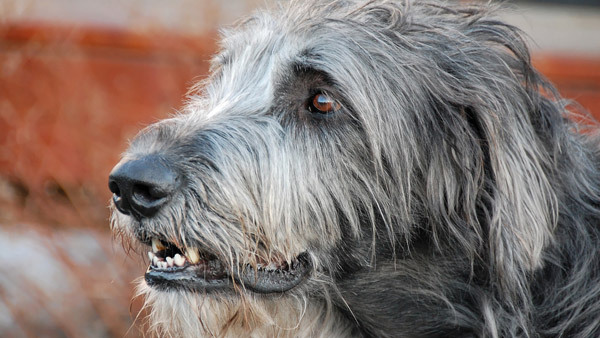 I have a dog that I rescued and he looks very similar to the dog in the photo for the brindle coat submitted by Neil K. would anyone know what breed this dog is? I would really like to know. Thanks for adding my phantom & parti-colored suggestion! @krystyna the pic says it was taken in Chile, could be a Chilean breed or could be a mutt. He’s pretty cute though. I also rescued a puppy that looks like the picture submitted by Neil K. They told us it was a shepherd but we are not sure. She is so cute. Her ears stick up and her nose is long and black. Our little dog looks like them. I suspect that she may only look like them. too cool she looks exactly like them. I rescued a grown boy dog who looks just like the cutie Neil K. took a pic of too! Sad so many are letting them go, but I’m so glad we are all glad to get the info. Re: Donna Blend query about a dog similar to Neil K’s photo but with a LONG black nose and ears that STICK UP. Another possibility is a COATED Xoloitzcuintli. 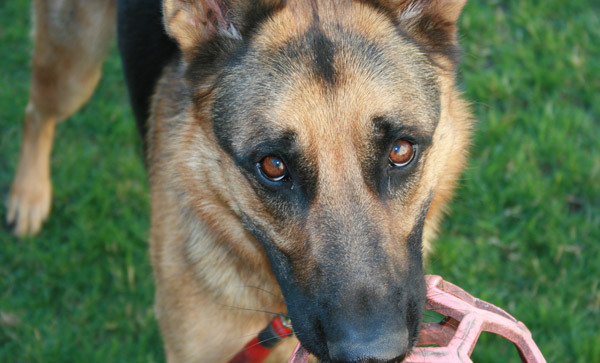 Often confused by shelters with GSD mix their body line, smaller head but longer slimmer nose, plus delightful large (can) stick up ears and dark/black mask sets them apart.Oh, and they tend to have very distinctive “Wrinkles” on the brow between the eyes that are most noticeable when they are concentrating. They come in 3 sizes … mine is a standard and there are 2 smaller versions. I was wondering if any of you could tell me what breed of dog is the one in the Brindle picture? Thanks! 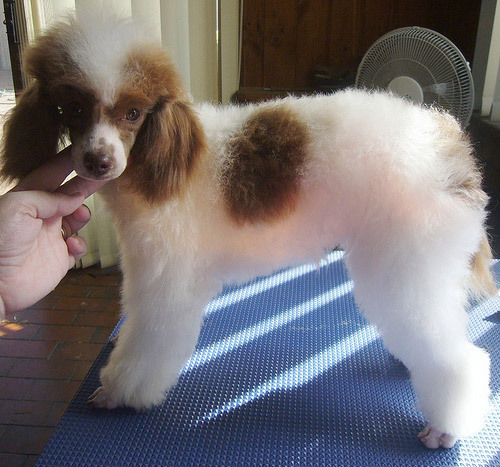 Phantom in poodles is the tan-point or cream-point pattern in other dogs. 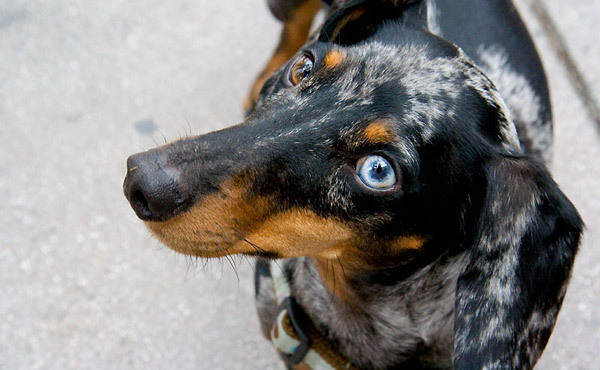 Dapple in dachsunds is merle in other dogs–some countries are starting to ban registration of doxies with 2 dapple parents, as the merle gene can have severe health effects in its homozygous form no matter what the dog’s breed. 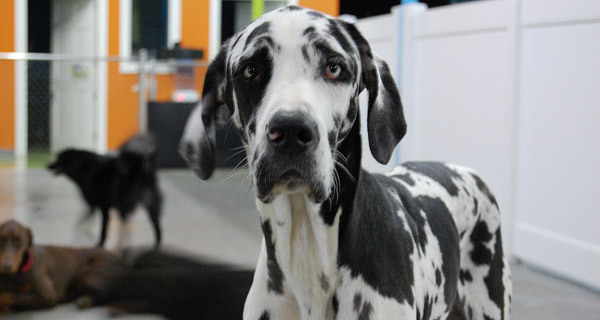 Harlequin in Great Danes is trickier; it’s merle plus a “helper” gene that wipes the lightened background color out. And there are a ton of variations on sable patterns–masked (look for Leonbergers & B. Malinois), saddled (find Dunker hounds for saddled sable merles), merled, “silver” as seen in huskies & malamutes…not to mention liver, blue, and lilac sables in lots of breeds. Brindles also come in many variations. Whippets are a good breed for checking out brindle options–cream, fawn, red, blue, liver, they’re all there. Most of the “trindle” dogs I’ve seen in photos or in person (black or red & tan but with brindle on the tan points) have been mixed breeds. 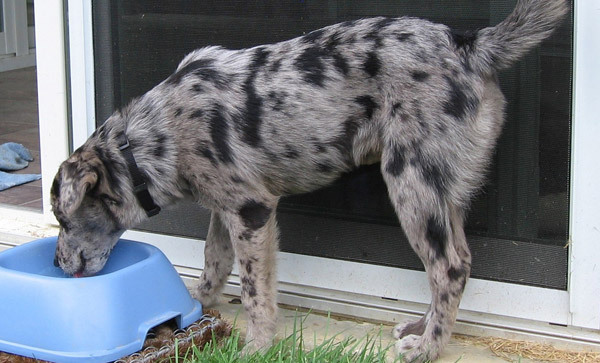 As for merled colors, Australian shepherds pretty much have them all: black (bi blue is what I see dogs like mara’s blue merle above called), black tri (traditional blue merle with tan points), liver (called red with or without tan points), dilute blue (slate), dilute liver (lilac), and sable. 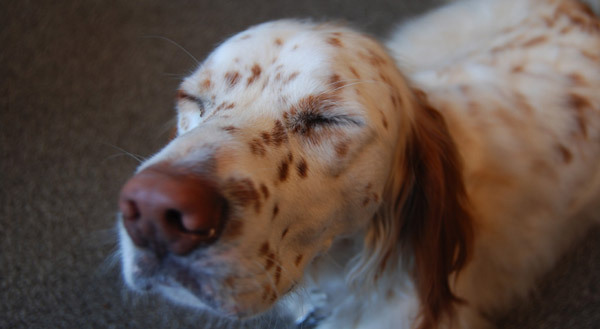 What is called “belton” only in the English Setter is found in many breeds, especially the hunting dogs such as pointers, and is elsewhere called “ticking”. 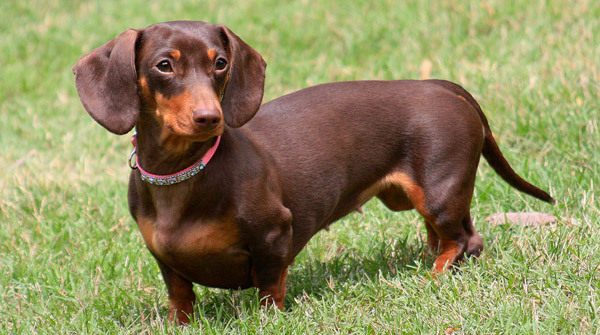 The most spectacularly lovely ticked-and-roaned dog I ever saw was a black-and-tan longhaired mini dachsund pup. I’m not a dog breeder, trainer, or expert, but I do spend many hours keeping my OCD at bay by surfing breeder sites for fun. 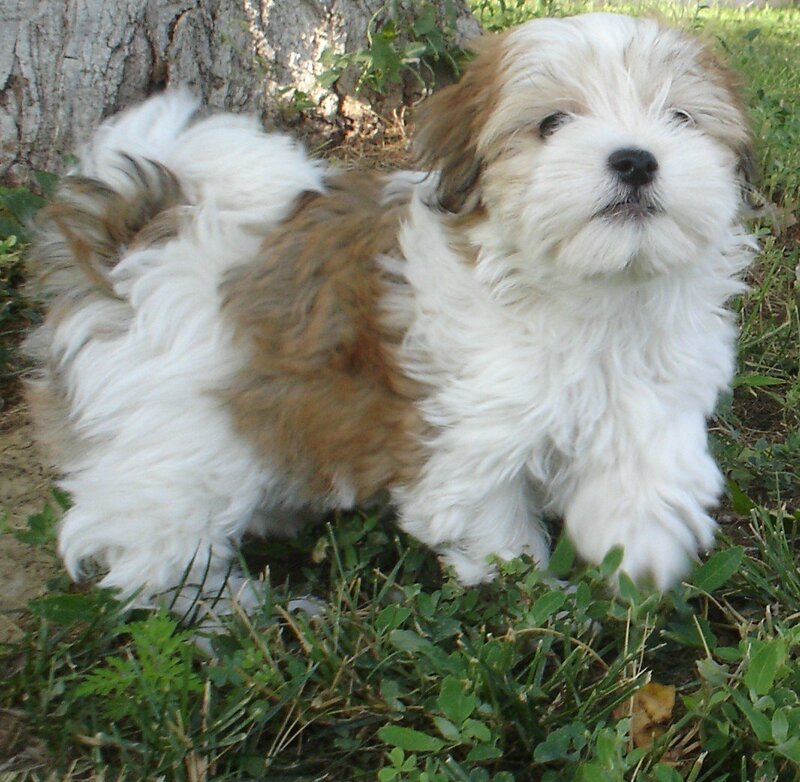 My Shih-tzu/Yorkie mix is a reverse brindle color – tan stripes on a black background with gray legs – giving the overall appearance of a dark chocolate & gray color from a distance. How about adding pictures of “seal”… side by side in the shade and in the sunlight so the different appearance is clear. I believe the brindle dog pictured is a Plott hound. Can you tell me what kind of dog is the Parti-Colored dog? you should distinguish the difference between merle and blue merle and add red merle to the mix, also some others like Fawn, liver and wheaten good job though. I’m impressed to see your site. You did a great job on this site. I love all dogs. And Thank you for sharing this information.